In late 2015, BNP Paribas interviewed me for their Bizcover platform: the community for Belgian entrepreneurs. I talked about the start of FLOOM and entrepreneurship in general; the highs and lows of starting a business, the challenge of juggling different responsibilities as a solo entrepreneur and the freedom and flexibility entrepreneurship gives me on a daily basis. Like I said in the video, I did not expect my business to be perfect at take off. I do believe in improving continuously by listening to our customers and using their feedback to grow bigger and better and bringing them more value every single day. In the video I also talked about my dream of hiring enthusiastic and passionate people for my business so they can build this FLOOMstory together with me. Guess what.. This dream became reality! In the second part of 2016 three people joined the FLOOM team. Curious who those fellow FLOOMies are? Next month I’ll share their stories on this blog. I hope you like to read a bit more about the story behind FLOOM and love to share more bits and pieces in the coming months. 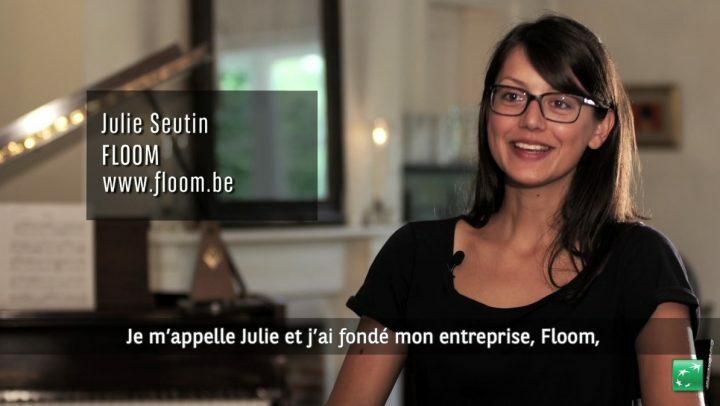 Are you our next FLOOM intern?